From Friday Oct. 30th through Monday Nov. 2nd, Colorado State Patrol (CSP) officers, along with 78 local law enforcement agencies throughout the state, made 250 DUI arrests. The 250 DUI arrests made in CO over the Halloween enforcement period mark a drop in arrest rates since last year, a Denver & Boulder DUI lawyer explains. 427 drunk driving arrests made in the state over the same period in 2013. Unfortunately hundreds of drivers got behind the wheel after drinking or using drugs and they are now dealing with the real-life nightmare of a DUI arrest…Thankfully those drivers were removed from our roadways, which enhanced the safety for not only themselves but other motorists on the road over Halloween weekend. We’re pleased that DUI arrests were down this past Halloween, but there is still a lot of work to be done to reverse the trend of drug and alcohol-related fatalities in Colorado…We will continue to look at ways to educate the public on the dangers of driving impaired and work with law enforcement to ensure our roadways are safe. Colorado Springs PD – 34 DUI arrests. Given that the next statewide DUI crackdown will be kicking off on the Wednesday before Thanksgiving – and will be extending through the holiday weekend, officers and agencies across the state are starting to put plans in place now for increased patrols to be ready, up and running in less than a few weeks. That means it’s not too early for you to be planning ahead also if you will be celebrating a festive Thanksgiving weekend this year. And keep our firm’s number on hand through the holiday season, as one call to us can get you the defense, protection and support you need following a DUI arrest. 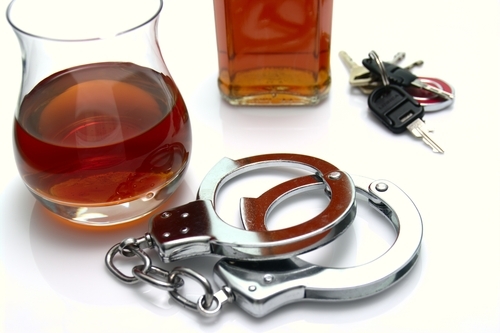 Have you been charged with a misdemeanor or felony DUI? If so, you can turn to the Denver & Boulder DUI lawyer at Griffin Law Firm for experienced help and the best possible defense. With more than 18 years’ experience in the criminal justice system, our attorney understands the complexities of the system, the challenges different defendants can face and the best ways of overcoming these challenges to bring criminal cases to successful resolutions.